Book your Kulula flight to Durban now! If you're planning a trip from Cape Town to Durban book your flight with Kulula now! Their fare of R288 is the lowest we've seen on this route in our surveys all year (that's not to say there wouldn't have been lower prices on other dates - our surveys look at Friday afternoons). Kulula flight MN701 leaves Cape Town at 1345 and arrives in Durban at 1540. We of course remembered to add in the airport tax, as Kulula excludes airport tax from its prices. For the second week running Kulula Airlines have offered the lowest flight prices. Last week we examined flights from Johannesburg to Cape Town and Kulula came in with the cheapest flight at R443. The record for most consecutive low prices in our surveys is Nationwide Airlines which had the cheapest flights for 3 consecutive weeks (R481 for a Cape Town to Johannesburg flight on the 12th May, R600 for a Durban to Cape Town flight on the 19th May and R596 for a Johannesburg to Durban flight on the 26th May). Can Kulula equal Nationwide's record?...we'll have to wait until next week to find out. Is Mango Airline playing fair? In the light of allegations by Kulula and 1Time that Mango Airlines is unfairly undercutting them, we carried out a full review of Mango Airline's pricing. We include our recommendations on how the state carrier should behave. Be very careful when comparing Kulula's advertised flight prices against those of other airlines - since last week Kulula are excluding airport taxes from their flight prices. Other airlines which exclude airport taxes are SAA & Interlink. 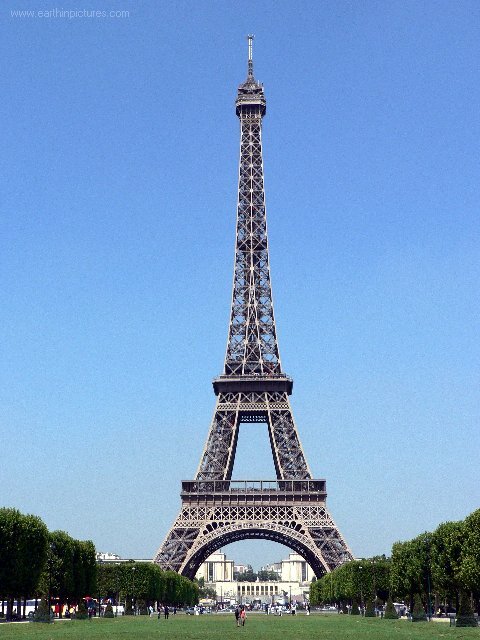 Airlines which quote all-in prices are 1Time, British Airways, Mango Airlines and Nationwide. Being an online organisation, SouthAfrica.TO are natural proponents of paperless travel. While SAA's online strategy has major holes in it, we're happy to report that they've taken a step in the right direction. From 1 August 2007 if you book online with SAA it'll be R500 cheaper than making a booking at a South African Airways’ airport ticket office. While IOL readers may not like it, it is a sensible step for SAA from a business point of view - it costs them more to issue paper tickets than electronic tickets. At present, passengers purchasing electronic tickets are cross-subsidising those purchasing paper tickets; reflecting the difference in cost in prices will encourage more people to use the cheaper electronic bookings. However, SAA's online strategy is far from perfect. Unlike SAA, major airlines like Emirates, Virgin Atlantic, British Airways, KLM & Air France all have fully fledged online affiliate marketing programs. From the 1st July 2007 SAA started operating flights between Johannesburg to Munich (again). 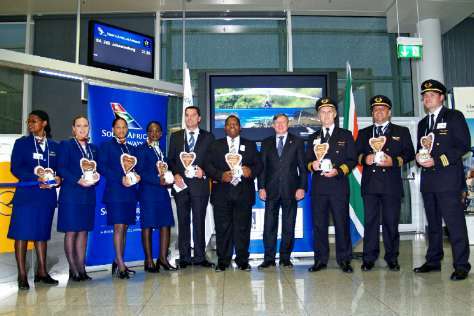 Here's a photo of the Munich airport management welcoming the SAA crew from the maiden flight (including Khaya Ngqula). A few years ago SAA stopped flying the Johannesburg-Munich route, deciding that the aircraft could be put to better use flying to other cities. 1Time Holdings (which runs 1Time Airline, 1time Charters and Aeronexus Technical) is going to be listing on the Johannesburg Stock Exchange's Alt X on the 14th August 2007. We hope this doesn't result in a shift in focus towards short-term profits. Together with Comair (which operates Kulula and British Airways) this brings to 2 the number of airlines listed on the JSE. Cape Town's 2007 Flower & Garden Show has an official carrier - Nationwide Airlines. Nationwide will be providing domestic flights to and from the event and offering the corporate rates on Johannesburg to London flights. we've upgraded our coverage of airlines flying from London to Johannesburg to include Egypt Air. On the 26th June flights were delayed as a result of a rare snowfall in Johannesburg, and we wrote about how highs and lows become more extensive when you interfere with a chaotic system (and weather patterns are part of a chaotic system - in the chaos theory sense). 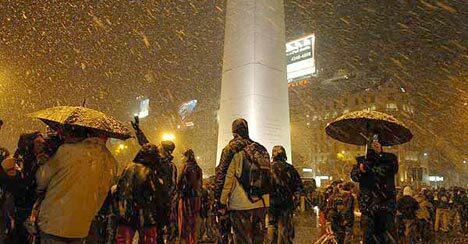 Now Buenos Aires has had its first snow in 90 years. What's interesting is that even with all this unusual weather 2007 is on track to be the second warmest year of the last 150. 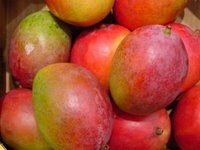 Type in www.mango.co.za and believe it or not you don't end up at Mango Airlines - you wind up at the South African Mango Growers website! Considering that most airline tickets are sold online, it must be costing Mango dearly that they don't own their brandname's url. On the other hand I must congratulate the SA Mango Growers association for their initiative - they have placed a Travelstart advert on their site, and are earning R80 for each airline ticket they sell. A reader, Michelle Ferreira, left a comment on our Mango Airlines site: "Why do your prices change constantly? I find it very annoying. One hour they are cheap the next expensive. Its quite dissapointing." We also find it interesting how some airlines (e.g. British Airways) demonstrate relatively stable prices compared to others (e.g. SAA).